This recipe is one of my FAVORITE things ever to bake. It is simple, uses ingredients I always have at home, tastes SO good and fresh, and the glaze on top makes it over the top delicious. The original recipe has a lime glaze, which is amazing, but I only had lemons on hand, and they work great too! If you are looking for a delicious bread with spring flavors, this is it! In a large mixing bowl, beat butter and sugar until blended. Add eggs and beat to combine. Add banana, sour cream or yogurt, apple juice (or milk), and vanilla. Beat until blended. Add flour mixture and beat at a low speed until just combined. Stir in 1/2 C coconut. Pour batter into a bread pan that has been sprayed with non-stick spray. Sprinkle additional 2 Tbs coconut on top. Bake in the oven for about 1 hour or until a knife or skewer inserted in center comes out clean. Note: Check bread after about 40 minutes. 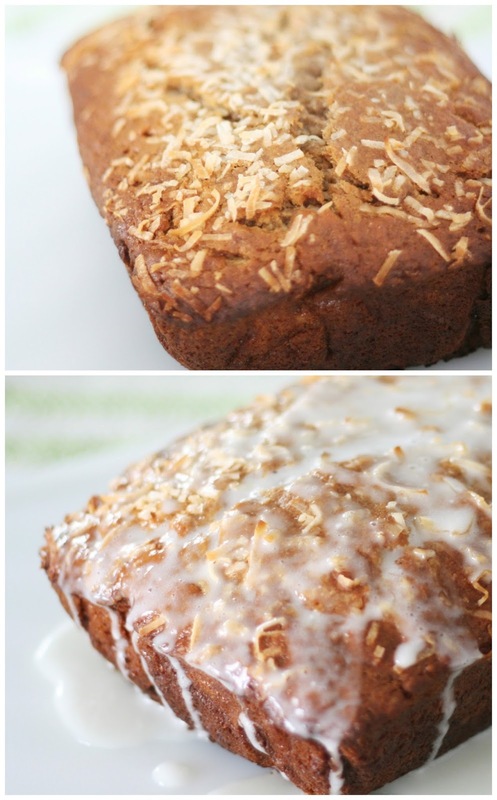 If the top has browned and the coconut pieces are looking toasty, cover top of bread lightly with a piece of foil. Continue baking until done. When done, remove pan from oven. Let cool on a cooling rack for about 10 minutes and then carefully remove from pan. Whisk powdered sugar and lemon juice together for the glaze and then drizzle over top. Cool for another 15 minutes before slicing. This looks amazing! I know what I'll be doing with this weeks leftover bananas! This looks delicious! 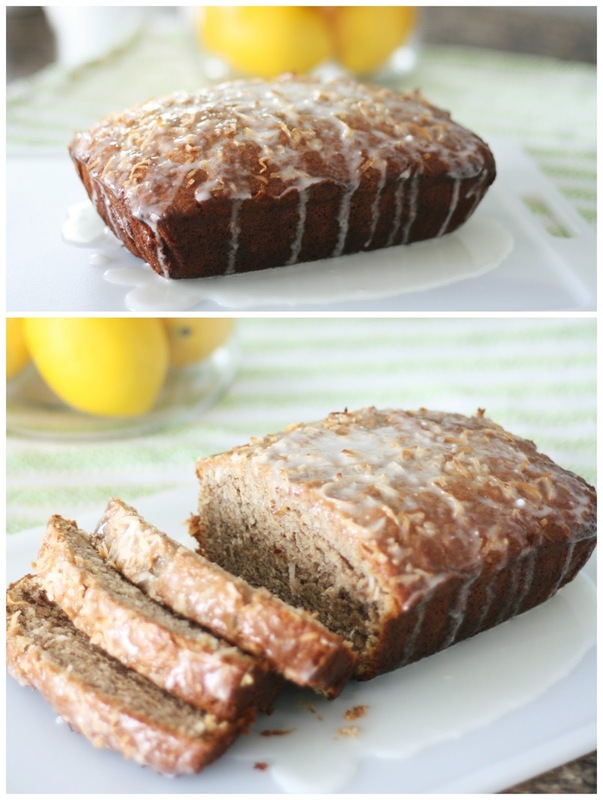 I almost always have overripe bananas–I'll be trying this recipe soon!